This video is the introduction to a Mindmap that I’ve put together to teach wholesalers everything they need to know to find cash buyers. You can get the Mindmap for free by visiting my website, linked below. The subtitle, The Definitive Guide, says it all. When I say definitive, I mean it. Watch this to learn how to get lists of prospective buyers, and what method and what message to use to communicate with them. You’ll see the various websites I talk about; see some of the marketing material I use. Get this Mindmap and you’ll be able to confidently talk to potential buyers at any time. Always be looking for buyers, not just when you’re in a hurry to move a property. You can’t keep going back to the same pool of people over and over. Let your buyers know you’re shopping your deals to other investors. Build relationships with buyers. Know the types of properties each one prefers. It’s easier to sell people what they want than what you happen to have on hand. Landlords with current rentals may be interested in additional properties. It’s easy to find landlords by using Zillow, PropStream and other websites. There’s an advantage to finding property owners who live out of state, and you’ll learn why. Advertise property for sale only if you actually own it. Route calls to your cell phone and ANSWER IT. Network with other wholesalers, property managers, realtors, etc. to find buyers. Learn what you need to ask potential buyers. Welcome. This is The Real Estate Investing Mastery Podcast. Hey guys, how you doing? Joe McCall here from Simple Lease Options, JoeMcCall.com, Real Estate Investing Mastery Podcast. I’m going to be sharing with you the definitive guide to finding cash buyers. I know this is a question that I get a lot and I’m constantly showing people, like somebody brings me a deal and said, hey, I need some help selling this thing. What can I do? And so I’m constantly showing them little tricks and tips and I thought, you know what I want to take all of these strategies together and put them into a mind map I’m going to give it away completely free, you guys can get this mind map for free. So somewhere down below no shenanigan’s no little tricks I’m not going to try to sell you something, it’s just the mind map is completely free. Okay? You don’t even have to opt in to get it. It’s yours. And I just want to do this as a way to say thank you. But some of you guys don’t know me. I’ve been doing real estate full time since 2009 part time since 2006 I have coached people literally from all over the world how to do deals in their backyard or virtually while traveling themselves, right. So I’m excited about this. I’ve been doing my podcast since 2011 if you’ve not heard of it, it’s a Real Estate Investing Mastery Podcast. But anyway, enough about me, a lot of you guys out there, you’re struggling to find deals or when you find deals, you’re struggling to sell them. And I’m going to be talking specifically to the wholesalers out there that you find good properties, you find good deals, but you have nobody to sell them to. Or maybe you are freaking out at the last minute. You’ve got a property under contract, you only have a few days left and you’re like, I don’t have a buyer yet. You know? So we’re going to solve all of those problems on this webinar, right. So if you haven’t already go to the description, I get this mind map I’m going to walk you through and show you in this mind map some of the best, easiest, fastest, simplest ways, cheapest ways to find cash buyers, you interested? Alright, let’s go into it in the mindmap, some important concepts first, why are we doing this? Why is it so important? Well, it’s the easiest and fastest way to get started doing deals. And another thing too, it’s like, it’s always easier to shop for what buyers want than to try to sell them what you have. So go find the buyers first. Another important concept is you need to dig your well before you’re thirsty. If you’re at a point where you have a deal under contract and you’re freaking out, like, oh, I need some money, I need some money now, it’s going to be so much harder to try to find buyers after you have a deal or try to find buyers when you only have a few days left under your contract. So let’s start digging the well now and let’s start getting buyers now and find out what they want and go find it for them. Another way that I think another thing that I think is really important, you need to, there’s this, I’m not going to go deep into this, but there’s this whole thing of the brokering without a license, okay. And when you do what a lot of people teach with finding buyers, you are brokering, right. So I’m going to be real careful with my language here, but when you start advertising properties that you have under contract on Craigslist or on Zillow, that raises a lot of red flags. And so I’m going to show you an easier thing to do instead of marketing the property, right. Just make a few phone calls, talk to some buyers, talk to some other people, and I’ll show you how to do that. So don’t advertise your properties on Craigslist and Zillow unless you actually own them, alright. Again, I’m not going to go into the technical details because yeah, you have it under contract. You have the right to assign or sell your contract. Wholesaling is 100% safe and legal if you do it the right way, make sense? So I don’t want to dive into that. You don’t have to have your license to wholesale real estate, okay. I recommend getting your license, but you don’t have to have it. I’m going to be talking mainly on this video about finding buyers. I’m going to be talking about finding buyers first. And if you do it the right way you’re going to avoid the broker police okay. The other big thing that is so important is why this is so important is a lot of times you need proof of funds and you may not have the proof of funds that you need to show to sellers or show to realtors or property managers. People want to see that you’re legit. And if you’re just getting started, you don’t got a bunch of money in hip pocket national bank, you can’t show them a bank statement that you can actually close on these deals. But guess what? Your buyers can. And if you’ve got good buyers, your buyers then can give you the proof of funds that you can give to realtors or sellers, whoever’s asking you for them, right? Some important concepts. Again continue, always be building your buyers list never, never stop. Always be marketing for buyers. I just had breakfast or coffee with a friend yesterday and he was struggling. He was like, Oh what’s going on, you know, I have all these deals I was doing really well, but the market’s changing and he’s getting nervous. And I said, well, when was the last time you marketed for buyers? Oh Joe, here you go again you always ask me this question. And it had been like six months. Well, no wonder he’s struggling, right. So I’m working with him we’re going to start getting him some more buyers. You always got to be building your buyers list because the buyers you used to have aren’t going to be in the future, maybe as hungry as they were before for your deals. So you always go to be marketing for buyers. Find your buyers first. Don’t rely on websites or email blasts any more. They don’t work as well as they used to. Used to be, you could send out a letter, he sent people to a squeeze page. They put in their name and phone number or email and you could just email blast properties when you have them available. You should still do that, but it doesn’t work as well as it used to anymore. Another important thing to understand is when you’re doing your marketing for buyers specifically, you always should have the calls go to your cell phone. You should always, always be answering your phone alright. Super important because a lot of buyers that we work with, you know why they work with us is they say Joe or Rick, whoever I’m working with, you are the only guys who answered the phone. So in your seller marketing, it’s maybe okay to let that go to voicemail or a call center or something like that, right. But when it comes to your buyer marketing, you need to have that personal relationship and connection with them. So always be the one that answers the phone. I promise you if you just do that one thing, you will double, triple your deal flow. You will do more deals than everyone else because you’re accessible, especially to your buyers okay. And you know, here’s the thing. Who is your customer in this wholesaling business? It’s not the sellers, it’s the buyers it’s the ones with the money so you need to be accessible to them. Focus on building relationships with your buyers and start spreading the word, once you’ve get buyers, now start spreading the word out to everybody in the business and your market. Realtors, wholesalers, investors, property managers, everybody that you can, Hey, I’m in the market, I’m looking for deals, I need deals. Then you won’t have to start marketing so hard for sellers. You get other people to bring you their deals. This by far is the fastest way to get started in wholesaling. I hope you’re hearing me and you’re paying attention. The fastest way to do a deal is to find the buyers first and then go out to all the other people that are doing spending tens of thousands of dollars in seller marketing and say to them, hey, listen, I have buyers I have money burning a hole in my pocket I’m looking for deal. Send me what you got and when you know what your buyers want, you can tell them, I’m looking for three bedrooms ranches in this area under this price range that rents for this that doesn’t need more than this amount of work. You see what I’m saying? Get other people to bring you their deals and that’s the easiest way to get started, okay. Remember, you are the buyer. Alright now let’s talk about how, let’s jump right into it. How do you build your buyers list? I have a lot of different ways that we do it. I’m going to walk through some of my favorites. I’m going to try and go through this as fast as I can. This is a, this is a whole entire course in and of itself, so let’s just dive in. One of my favorite things to do is I like to contact landlords of current rental properties. So we’ll look at an example but you know, if you get a property under contract in this zip code, why don’t you start looking for landlords who are already advertising rentals around that area and pick up the phone and call them. So let’s just look at an example. A good zip code here in the St. Louis area for rentals is 63123 and I’m just going to go in here to the for rent section. And I’m not going to worry about bedrooms or baths or monthly payments. I might just do houses, maybe condos, town homes apply. And in this area you can see right here there is 16 properties Zillow just changed their stuff and I don’t know if I like it because it’s different. Look at this thing that’s kind of ugly. But anyway, here in this area, this is near Afton. There are 16 properties it says here, 16 saved homes. I don’t know, I’m not used to this yet. But guess what happens? What I can do is I can click outside of that area to maybe get the areas, the homes around it, or I could go here. I hope the draw thing is here. Good here it is. I can draw the area around my property, okay click apply. Okay. There is nine, here are the results nine. There’s nine rental properties right now currently actively listed in Zillow, and so what happens if I click on one of them? Guess what’s going to, oh, there’s a phone number. Now, doesn’t matter if it’s a property manager or realtor or the individual landlord himself, call them up and talk to them. Say, Hey, I got a rental property close to yours are you looking for another one? Now I’ll talk a little bit on this mind map out what to say to property managers and realtors because you have to approach them a little differently, but it’s super easy, phone number right there give them a call and then go through to the next one. There’s a phone number again a property management company. Give them a call. Here’s one another leasing agent good. By the way, if you’re doing lease options and you want to find a realtor to help you find tenant buyers for your lease option properties, this is a great way to do it. Start calling the leasing agents that are advertising investor properties and talk to them. Alright that’s it. Simple, super simple. You can also go to Craigslist right. Now the thing about Craigslist is you cannot actually go and search by zip code. It doesn’t work that well because a lot of people don’t put their property address in in there, right. But what you can do is you can go in here and I like to take out the word apartment and let’s say I have a little two bedroom rental that I’m trying to wholesale or I’m targeting a certain area. I can say, alright, only give me two to three bedrooms and this is a maybe an $800.00 a property that rents for $800.00 a month. So I’m going to look for properties in here that run from $500.00 to $1,000.00 2 to 3 bedrooms and here you go. I’ve got a bunch of properties, here’s a duplex and if I click on here, please call for more info. There’s a phone number of a landlord or an investor or a property manager or somebody that’s advertising a rental property that might be looking for some more. Really the whole point of all this is I’m looking for phone numbers, okay, so that I can call people. This is so easy. Go through here look for phone numbers. Decker Realty, they’re an investment realty company that does what works with a lot of investors. I bet you they have real they, their realtors, I bet you they have clients they’re working for that are looking for more deals, so call them a lot of times. Sometimes, sometimes all the time sometimes you can click on the reply button here and you get phone numbers as well, cool. Make sense? Another great resource that you should check out is GoSectionEight.com Go Section Eight is where you can actually find landlords who are advertising their rental properties and you can get phone numbers of rental properties that are not even vacant right now their leased, but you can still find them in here and if you just do a search in your city, St. Louis, Missouri or St. Louis County. We’ll just zoom out here. It’s going to give me a ton of rental properties one of these days. Yes here we go. So in just the city of St Louis area, how many are there? There’s 578 if I would’ve gone out wider it would’ve given me Saint Louis County, which is a bigger area, but if you just click on any of these, you’re going to get phone numbers. Check this out, I don’t know what’s going on, oh wow. Here you go Michael Cobb, Kolbe, phone number. You can also go back and start looking at, well, here’s a map you can see on a map, these are just the city area. Again, I’m ignoring the other two thirds of St. Louis, but you get what I’m trying to say. Go look at these properties and scroll to the end a lot of these are already leased they’re not available right now. So if you click on one of these where they’re not available right now, it might say check availability or something like that. You can click on it and you’re going to be sent to another page where you can view their phone number and or you can message them, send them a message and actually contact them. Ask them if they’re looking for more rental property. So here we go. This property is not available anymore. I can click on view phone number. So here you go you get his name and phone number give that person a call and say, Hey, are you looking for more property in the area? I love Go Section Eight landlords because these are investors that are willing to buy some of the rougher properties in the rougher areas and they are great resources. Okay, so give them a call. Say things like, Hey, I see you’re advertising a property at 123 Main Street, you wouldn’t be looking for another property in that area, would you? I might have one that I’d like to sell. If they say no, you can ask them this. Do you know anyone else that’s looking for more properties? And here’s the key if it’s a realtor or a property manager ask them something like, Hey, well, you know, what, can I send you my information, my contact information? Maybe you have another client that might be looking for a property. And if you bring me a buyer, I’ll pay you a commission or you can just add whatever commission you want on the deal. Talk to these realtors and property managers. I never talk to a big property manager that did not say he has clients that are looking for more deals. And by the way, who says, I have clients that are looking to sell some of their deals. So become friends with these realtors, become friends with them, property managers. And I’ll talk to you in a minute here about another way you can find these realtors. It’s just crazy, insane. But pick up the phone, pick up the phone. It’s not a cactus alright. Now another favorite way, this is insane. I learned this from somebody that I was interviewing once in my podcast sending letters to investors that purchase properties recently in the area. There’s a website I want to really strongly recommend you go check out Prop Stream and if you use my link PropStreamJoe.com you get a seven day trial, but you also, if you use my link they will let you download way more than the normal average downloads. So like it’s $97.00 a month but what it gives you is you can download up to 10,000 records in a month, which means it’s one penny per record. If you go to List Source and try to download lists, it’s like .20 to .30 cents per record. You can get it in other places cheaper, but it’s, you can’t get anywhere cheaper than a penny per record. And they also give you where you can get property detail reports and I’ll show that to you later maybe. But it’s like you can view all the detailed information and history on a property, the mortgage, the who owns it, and you can get incredible lists of vacant houses and liens and I’ll show that to you in a minute, but if you go through the regular Prop Stream link, it only can download like a hundred a day. If you use my link, you can download up to 5,000 records in one day and 10,000 in one month. I use Prop Stream every day, I pay $97.00 a month. I was paying like $350 to $400 a month before I got hooked on Prop Stream. It’s amazing I use it all the time. So let me show you what I’m talking about. I’m just going to log into my Prop Stream account here and I’m going to show you how you can get as simple as looks. Let’s say this house right here, this is a property near University City and 63132 and I got a property also in 63132 and I want to start sending letters to investors who bought property recently in that area. Something to go to that zip code. And I’m going to go here to filter and I’m going to say owner occupied, no, that means it’s not a retail buyer okay. You can search for in Prop Stream properties that are pre foreclosures, liens, cash buyers, high equity, vacant free and clear bankruptcy’s, divorce, auctions. It’s insane you can get some really valuable list here. And so I want people that bought it within the last six months, right. So I’m going to, well let’s just do the year, people who bought it in the last year, I don’t care if it’s a corporation like an LLC or an individual who bought it doesn’t matter. And I don’t care if they paid cash or if they got a loan on it right? I’m just looking for investors that bought this. And I know this is a small little property, so I want to look for investors that you know, paid less than $125,000 let’s say and in this neighborhood that’s kind of the lower end of the owners, right? And that’s it. If I click apply, here’s 27 investors that in the last year bought a property in this area, investors that bought a property less than $125,000 in the last year. So guess what? I can take that list and export it and send them a letter. Let me show you the letter that works like crazy. I’m looking for investors that purchased property in the last 6 to 12 months in that certain area. I’m to send them a motivated seller yellow letter, and this is really cool check this out. I’ve used this letter before and I’ve had investors call me and say, listen, I love that letter. I’m not interested in that property, but I’m just going to tell you something. That letter it got me to open, it got me to read it and I’m going to use it for myself. And I just wanted to let you know, I think it was an awesome letter. But this letter gets insane, really good response rates and you’re going to find buyers with this right. So I send a desperate motivated seller, yellow letter to the investors that own property. And you know what? If you don’t have enough buyers from doing this, you could say, just show me all of the private investors or you know the investors that own property in that area and you can send them all this letter. Anyway so it doesn’t have to be just who bought it in the last year. It could be who bought in the last five years or whatnot. Urgent notice, red handwriting at the top. Urgent notice, underline, I desperately need to sell my property at the address I’ve had it listed with a realtor. Now if you haven’t had it listed with a realtor, you could say, I’ve been trying to sell it for some time now and I can’t wait any longer. Take a drive by, call me and I will let you in. The title is clear, taxes are paid, condition is good and I need it sold today. Underline it, like show your emotion in this thing. Drive by, call me, make me a cash offer right now. I’m desperate I’ll take anything, call me name, phone number. This is really important, write that in the letter you think I’m crazy but this works. Crumple it up and then fold it back and put it in an invitation envelope with two stamps in hand write the address on there. When I’ve done this, I’ve gotten anywhere from 20% to 30% response rate. Not promising that it will work for you, but it works really, really well. And the reason of why crumple it up is because when they get the envelope it’s going to have a little a thickness to it, right? It’s going to look weird when they open it, it’s going to, the paper’s going to look crumpled, it works. People will read it and they’ll call you and maybe even sell a deal to them, right? So sending letters to recent investor buyers in your local market work really good. Another letter that works really good. And this is something that like this particular letter here, I’d say you could send to somebody after you already have a property under contract. If you don’t have a property under contract and you’re doing, what I’m telling you to do is building your buyers list first in advance of getting the properties, this works really well. And what this is about is finding investors that are buying in other markets from outside of those markets. And I’ll show you an example here in a minute and I’d like to send this professional letter. I’m going to show you how to find these in a minute, but it’s a professional letterhead from your company. This is what we’ve sent before. Hey, my name is Joe McCall and the owner of Chamberlain Holdings. We are the premier real estate investing company in the St. Louis, Missouri market. I understand you recently purchased a property at, in this other city based on this purchase, it appears as though you’re a real estate investor. Again, I’m sending this to people who bought property in Phoenix, Arizona from outside of Arizona. So these are investors that are already comfortable with buying properties in other markets and they are already buying properties in other markets. So these are great investors that you could bring in to your market. So assuming that you’re continuing to look to invest, we are ready to help you. I can’t stop moving this around. Obviously you know that now is a great time to invest in real estate and I think that we could be very beneficial to you as you continue to grow in your business. If you’d like more information on myself, my company, or you’d like to see our current properties, a list of our current properties, feel free to contact me and that phone number, guess where it goes to my cell phone. When I started doing this with Rick, one of my original acquisition partners, we had the calls go to him and we used a virtual phone number that redirected to a cell phone so we could track the responses that we were getting on this, it was insane. And within just a couple months of doing this letter, sending it like I’m going to show you, we stopped all of our seller marketing, we had more buyers then we can handle, and we became the new hedge fund in town. We started telling everybody that we were networking with, we’ve got $5 million burning a hole in our pocket. We’re looking for deals. This letter works really well. Now you’re not going to get a huge response rate with this letter, but the few calls that you’re going to get right they may tell you, yeah, you know, I’m looking for more deals and they’re just testing you out. They’re going to see like what kind of inventory you have and if you’re really true to your word and whatnot, after they tested you on a couple of deals, they’re going to be like, you know what? We want to buy 10 a month. We want to buy 20 a month. This has happened to us multiple times. So that’s why it’s so important on these letters, you answer your phone and be personal, be relational with these guys alright. So how do you look for, you know, let me, let me just kind of show you what I mean. I’m going to go here to List Source. I use List Source to kind of do some research and then I do Prop Stream to actually buy my lists and so I’m going to show you how to do it and Prop Stream and in List Source. So let’s say you know, one of the markets, let me just open up a map here maybe this will make more sense. How do you find these hot turnkey markets? Well there’s a couple of things you could go to Google, you could do a search for hot turnkey market’s hot rental markets for 2019 for 2020 look for the articles that people are posting on bigger pockets or money magazine or some of those other sites and see where are the investors. You know the group of doctors that play golf in California where are they, they’ve got a bunch of money, where are they investing it at, and where are they going to get that kind of information? You could find out where they’re looking. Some of the hottest markets right now. I don’t know why the maps aren’t working here are, let’s just say Memphis, Tennessee is hot market. What county is that? That’s Shelby county. That’s a good way to, good place to go. Alright, so let me zoom out of this map so we can kind of take a look at what we have here. There’s a lot of activity, turnkey activity going on in the Columbus, Ohio area, Indianapolis, parts of Southern Illinois, parts of Arkansas, Mississippi, Alabama, Georgia, Louisiana, maybe parts of Texas, Kansas City, Oklahoma. We’re looking in kind of these Midwestern markets in here where you’re still getting really good cash flow and there’s a lot of turnkey activity. So Birmingham, Alabama, Jackson, Mississippi, Mobile, Alabama, maybe even Tallahassee, Shreveport. So you can go in and see who are the investors that are buying in those markets from outside of those states. And if I go back here to List Source, I can say, all right, show me all the investors in a certain county. I’m going to just pick Shelby County, Tennessee, Shelby county. So there’s 67,000 absentee owners in Shelby County. I’m going to go here to next and I’m going to say anybody that’s bought a single family residence or one to four units, and then I’m going to go down here to last 12 months and then I’m going to go to next. I’m going to say absentee owned, but I’m going to uncheck include properties within state owners. So here we go, there are 1,600 absentee owners that bought in Memphis in the last year from outside of Tennessee is that cool. Oh by the way, there’s more because I’m going to go for corporate owned I’m going to say no preference. There are 3,000, 3,000 and then if I pretend like I’m going to purchase the list here, I can remove duplicates, remove duplicates. It goes down from 3000 to 1,600 1,638 different investors, LLC’s, individuals, doesn’t matter, trust. That bought investment properties in Shelby County in the last year from outside of Tennessee. That is a gold mine. These are investors that already feel comfortable buying in other markets, so contact them, send them a letter okay. Find 10 or 12 different markets where this kind of activity is happening. Get the out of state investors lists, send them this letter and say, hey, we’re the premier real estate investing company in this market, give us a call we’d love to talk with you. Again, it’s important, I can’t stress this enough, these phone numbers in this letter. Make sure it goes to your cell phone so that you talk to them. We’ve had so many buyers tell us the only reason we’re buying from you and not from that other guy in Dallas or that other guy in Columbus, Ohio, it’s because you’re the only one who answers the phone alright. And start referring people to us. It’s amazing. Make sure you answered the phone. Now, if you can’t answer the phone and it has to go to voicemail, here’s a simple voicemail script that I’m going to give you in the mind map and I’m not going to read this whole thing, but it’s just, you know, hey, this is Joe I’m glad you called. Listen, here’s the deal, I noticed you recently purchased a property one of the markets we follow. I live in work in St. Louis and I own The Premier full service Real Estate Investing Company in St. Louis. Based on your recent purchase, appears as though you’re a real estate investor, assuming you want to grow your business I wanted to reach out to you and let you know that we’re here to help you, blah, blah, blah. They’re really good. This is what you can leave into your outgoing message. I know some people test messages that will say things like, on the postcard or the letter. Call our 24 hour recorded voicemail. If you want more information, so test that, that might work. You will get more calls when you have 24 hour recorded voicemail because sometimes these buyers they don’t want to talk to anybody, they just want some more information first. So test that and then if you’re going to do the voicemail, use this script and if you want to send postcards, here’s a good postcard that you can test and try. Simple cash flow looking for discounted properties. It’s a good postcard to send. I like the letters better, but you can send postcards a lot cheaper. So test that and try it out. Alright letters work really well. Letters work best for, again, two reasons. If you’ve already got a property send that motivated seller yellow letter to nearby recent investors okay. If you’re looking to build your buyer’s list in advance, send that other letter, the professional letter I sent you. Another great way to find buyers is to skip trace them and call them or text them call them or text them. Just say, Hey, you know Bob, if you can get them, I’m looking for the investor who bought this property. Is this the right person, I have more properties like it. Thanks your name. Or you can say, are you still in the market? This search went really well. I’m not going to show you how to skip tracers. There’s a lot of different services out there, but again, you go to Prop Stream, go to List Source, get your recent investors and skip trace them, get a VA. One of the places I like to do one on one off skip traces. So let’s call this one off is PeopleLooker.com. I don’t get any affiliate links from that. The one that we use for mass skip tracing is NeedToSkip.com. Check them out they’re really good. We get a coupon code that we give to our coaching clients, but they’re good we use them a lot. So skip trace them. You might, you know, if it’s an LLC, you might need to go to the state secretary state’s website and do a search for that LLC and who it’s registered with, who are the members of the managing members. And then you might need to Google them. So that’s something you can have a VA do. But skip trace them call them, text them. Hey, I’m looking for the investor who bought this property that I get the right person? Are you still in the market? Something simple like that? It works. Networking, really important. Real estate investment clubs go to them. I know you may be thinking that oh, I’m above that I don’t like hanging out with beginners or people that ask me too many questions. But this is the best place to go to find buyers. You know, it’s not the beginning investors that are trying to learn wholesaling that you’re trying to network with necessarily, although they can be a good source of deals, but you’re looking for that, you know that person who just read a book or saw overnight, late night infomercial and they’re coming to the local real estate, because they’ve got money and their looking for deals, network with them and give them your business card. Here’s, I had a student, David Dodge was his name and he let me take a picture of, he created a color postcard and after the REIA meetings would start, he would go out into the parking lot and put these underneath all of the windshield wipers of everybody. And it was a simple, hey investors, join my VIP buyers list to get to deals directly to your inbox. And he would get people there and he said, hey, every EIAN that he’d go to, he’d get 10 to 12 options and he would not just wait to email them when he got a property, he would call them up and talk to them and find out what they’re looking for. You send them to a simple website like this. This is actual real buyers website. So if you’re looking to buy, get on a great buyers list for properties in St Louis. Go check David Dodge is his name. Go to DiscountPropertyInvestor.com/VIP putting information here and see what David is doing, he’s doing a really good job, with this, okay. The other thing you can do while you’re networking is find other wholesalers to JV with and partner with on your deals. So when you start, when you get a deal under contract, send it out to the other wholesalers that you know, look into Craigslist and Zillow for other investors on wholesalers that are advertising properties. Go to Facebook groups and bigger pockets and see who’s actively in the business and say, hey listen, I got a deal here do you want to partner with me on it? I’ve partnered with dozens and dozens of wholesalers on properties that I got under contract. Maybe I was just too busy and, you know, there was an area I didn’t want to drive to and I know somebody else who’s doing deals out there and I just call him and say, Hey, I got this motivated seller do you want to partner with me on this deal? It’s a slam dunk. I’m going to transfer this person to you. You talk to them, get it under contract, we’ll split it 50, 50. Is that cool? Yeah. Who would say no to that, right? So I’m always networking with other wholesalers and just split the deals 50/50. When you are partnering with other wholesalers, avoid the daisy chains, this is really critical. So if you’ve got a property you’re trying, you got it under contract for $40,000 or trying to sell it for $50,000 don’t let them mark it up and try to sell it to someone else, okay. You want to make sure that if somebody is bringing you a buyer, you’re dealing directly with the buyer, okay. For the price that you’re advertising it for and then have a separate JV agreement with your other wholesaler because when you start getting multiple daisy chains, just it’s going to screw the deal up. People are going to try to mark it up more and don’t ever do that again. Again we talked about before reaching out to property managers, go to their office. One of the things David Dodge was doing when he was first starting this was networking with like I was telling him to, with property managers. Go to their office, he’d bring them some donuts, give them some business cards and just say, Hey, I’m looking for deals, do you have any clients that are looking to sell their properties? Or do you have any clients that are looking to buy properties? And he would just start building relationships with property managers are a great way to do that, alright. Another great way to find buyers is with the MLS contact other realtors. Now what do I mean by that? Look for areas where there’s a lot of investor activity or a lot of cash buyers and investors are buying properties and see who are the listing agents and look for the properties that were sold that you know were sold to investors and look to see who were the buyers agents, who are the agents that we’re bringing the buyers to those deals. Who are the listing agents that were listing those properties? That is a goldmine. Why? Because MLS buyers are the best buyers of them all. They’re willing to pay the most. A lot of them are from out of state. They’re relying on realtors, they’re willing to pay commissions. So look for recent investor transactions. Call the listing agents, call the buyer’s agents, and also when you see rentals, a lot of times there’s rental properties in the MLS in those markets, call the property managers that are managing those properties and say, hey, you just leased a property in this area, would your client be looking for more properties in that area I have them? Email them, text them and again, like when I’m talking to them I say, Hey, can I send you my contact information? And when you do that I’m going to get their personal email and I’m going to email them my contact information and then I’m going to email them every week, every couple of weeks saying, Hey, I’m looking for deals. Do you have anything? Do you have anybody that’s looking for properties? Always be emailing and communicating with them. Simple, non spammy, one or two sentence contact or questions. So the conversation is what I’m looking for, and I’m talking to a realtor that recently sold a property or brought a buyer from the MLS, I say, hey, you know, I saw that you recently sold or leased a property in this area to one of your clients. They wouldn’t be looking for another property in the area, would they? I have one that I’d like to sell. Do you know anyone else who’s looking? By the way, if you bring me a buyer, you can add whatever commission you want to the price. You could also say, listen, if you bring me a buyer you can represent me as the seller and represent them as the buyer and get both sides of the commission. Let them double dip their commissions, Okay, makes sense? Good. Final thing on how to do this is with bandit signs. Simple handwritten, bandit signs work best. I’ll give you an example, but one of them that I like, is investor special, 30k, cash only phone number, that’s it. And put those in the neighborhoods where you’re looking to sell your properties. Two examples. I like this one a lot. I don’t know where I found this, but it’s beautiful and it works really well. Please help me. I need to sell my house. I’ll take anything phone number. If anybody knows who created that sign, let me know. I’d love to talk to them because this works really, really well. Please help me, I need to sell my house, I’ll take anything. This is similar to that desperate yellow letter, right? Put this bandit sign in the area. Now again, bandit signs I get it, there’s certain rules and restrictions. You can’t do them in certain markets, so just use it at your own risk or don’t do them if you don’t want to, but at least you know if you own a property, put that sign in your property in your yard or find some other neighbors or people in the area that will give you permission to put your sign and pay them something. But bandit signs work and I notice so many investors that do real well with them. They’re willing to pay the fine and get in trouble. If you hire someone to do your signs, use this app. This is an app called Simple Crew. This one. We’ll let you, if you’re hiring someone to do your signs from their phone, if they get the Simple crew app, they can take a picture of the sign and the geo locates them so they can tell where they took that picture from and you can see it on a map and you can just verify that they’re actually putting their signs out. Really good simple software. I’m trying to see if I can find an example for you. You take a picture of the sign and it gives you a map. Here we go kind of like this to see where they actually did that, cool. Where do you buy signs? I bought signs from BanditSigns.com SuperCheap.Signs.com Home Depot, you can actually, this is a cool little sign you can buy at home depot. Hopefully this link works. It’s a corrugated plastic sign it’s in the shape of a house and also just Google it. If you go to Google search bandit signs, you’re going to find signs on the cheap imprint image three 60 super cheap signs, ect. So there’s, there’s tons of them. I bought a lot of science from local sign manufacturers and I’ve just called them and said, hey, I want a hundred blank signs. Or I give them the texts that I want, you know, and they will print it for me so it looks like it’s really handwritten. Bandit signs work great. Again, use at your own risk. Some people have a real big problem with it and if that’s you, then don’t do it. Again, they work. So whatever you want to do right? So do you understand that? Super important. Number one, let me just review real quick. Call landlords that are currently advertising rentals on Zillow and Craigslist and Go Section Eight, pick up the phone, call them. Number two, send letters. If you already got a property under contract, send that desperate motivated seller yellow letter to investors nearby that own property. If you’re trying to build your buyer’s list in advance, use that professional letter, but send it to people that are buying from outside of state. Like are buying in one county near Columbus, Ohio from outside of Ohio that bought property recently in the last year. Send them those letters and always you should be doing that every single month. Sending that letter out. Next best thing is skip trace and call them and text and find people who are buying properties recently. Get their phone number. Call them, ask them are they looking for some more. Network, go to your local real estate clubs. Talked to other property managers and puts fliers out there. Find other wholesalers. They’re not. Don’t look at them as competition look at them as potential partners. Reach out to property management companies, bring them donuts, give them your business cards. Get out there and hustle it’ll happen. Flap your lips alright. The MLS is great. Why? Because you can, MLS buyers are the best buyers that pay the most and they’re willing to trust the property manager. They’re willing to buy property without looking at it sometimes, a lot of times actually. And so you can talk to the agents, the listing agents who sold the property and the buyer’s agents of the investors that bought those properties, it’s really good. And the bandit signs, please help me, I’ll take anything that sigh works like crazy, works really well. You will, I promise you this, you will never have a shortage of buyers by doing those things and do them constantly all the time. Always, always, always be marketing for buyers. Now what are some questions that you can ask when you’re talking to cash buyers? Mainly when you’re talking to them, you’re trying to find out. Number one, do they have money? And number two, are they ready to buy today, okay. Now, some miscellaneous questions that you can ask. By the way, when you’re talking to buyers, you really need to have the right mindset. You need to have the mindset that, you know what? It’s a privilege to work with me. You’re not begging for business, you’re not trying to sell them on how awesome you are or why this is like, you know what, it’s a privilege to work with me. And if you don’t want any of these deals, that’s fine because I have 20 other people that want them. So let’s not play any games here. If you’re serious, I got this property, you need to give me a yes or a no in the next 30 minutes. Now you can do an inspection. You know what I’m saying? Like you need to have this kind of an arrogant, politely arrogant attitude. It’s like it’s a privilege to work with me. You know why? Because I get the best deals and if you want them, let’s talk business. I’m in business to make money today. So when I’m asking them questions, I say, hey listen, I just want to ask you some questions to see if you’d be a good fit to see if you think I would be a good fit for you. But I need to ask you these questions to see like, you know, are you, when I bring you a good deal, are you ready to buy it now, do you have the money, the capital to buy it now because if not, that’s fine. It’s totally cool to say no, I can give it to somebody else. Alright, so ask them things like how many properties are you looking to buy per month, per year? How long have you been investing? What do you currently own any real estate? Do you own residential, commercial or both? Listen, if a great deal came along, how much money would you have available today? Do you currently have any IRA’s so they can, you can help them get maybe a self directed IRA. What’s your price range? What’s your criteria? This is so important. What are they looking for? What’s the rent, what’s the cash flow they’re expecting? What’s the return on investment or the cash on cash return? Ask him things like, you know, well, what are your primary strategies when you buy your deals? Is it buy and hold, fix and flip? 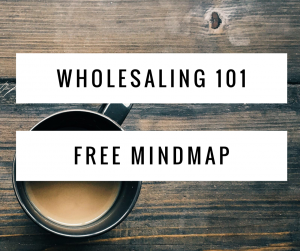 Are you a wholesaler? Do you sell them? What areas do you like to invest in? What are some of the things you look for like in beds and baths? I had one cash buyer investor buyer that wanted only two bedroom ranches with brick. And for various reasons he loves those properties because he gets better tenants in them. So find out what they want. The other cool thing is when you’ve got good buyers, this is really critical and important. When you’ve got good buyers, you, when you, when you’re negotiating with the deal, ask them what would you pay for this house? When you’re getting ready to make an offer and they say, I don’t know, just send me what you got and let me know what’s a good deal. No, no, no, no, no. What would you pay for this house? Or if you got it under contract for $60,000 you’re trying to sell it for $70,000 and they say, no, I’m not interested. Well, what price would you be interested? If you have a good relationship with your buyers, you can ask them these questions and they’ll tell you what they would pay for them. Now you have a lot of negotiating power. You can go back to the sellers and say, you know what? That number won’t work for various reasons, but I can pay you this because you know what your buyers would pay for those properties. And let me add one more thing to this too. Remember that you’re not the cash buyers employee, right? Because it’s a privilege to work with you. When you start getting cozy and comfortable with certain cash buyers and you give them all of their deals, you may say, Joe, but they’re reliable they’re going to close on all my deals. Well, no, they’re going to start squeezing your margins. They may be okay with you making $10,000 on your first deal, but they’re like, you know, after five, 10 20 deals, they’re like, you’re making how much? No, no, no, no. This isn’t going to work. They start getting fat and comfortable. Alright, they’re going to try to squeeze you down because you’re, they’re reliable. They’re going to say, listen, we need to work on this fee here you’re making too much money, we’ll pay you $5,000 grand and then that five grand is going to turn to $3,000 or $2,000. Don’t do that. You are not the employee of the buyers. When you have a good strong buyer’s list, when you’ve got a property, let them know, hey, I’m sending this out to three or four other people. If you really want this, give me an offer and give it to me now give me your best price. So you always want to be shooting for at least a minimum of most markets, a minimum of $10,000 on a wholesale deal, right? If your buyers that you’re selling most of your deals to are uncomfortable with that, then you need to pull away and give those deals to somebody else. Give them some time to come, they’ll come around and they’ll say, all right, we need to, we like your deals we want to do them. So always have a minimum profit in mind when you’re working with these buyers. And don’t be afraid to ask for more. Don’t be, we just did a deal we did like $23,000 on it, okay. We, and this was with one of our clients who was comfortable with making a couple, $3,000 at the beginning, everybody at the local REIA’s told her average wholesale fee is three to five grand. You can’t make more than that, right? We said bs to that. We started working with her and then pretty soon she’s doing $5,000 grand per deal and then $7,000 grand and then $8,000 or $9,000 and then $10,000 and now usually at a minimum our profit is $10,000 grand. We’re doing anywhere from $15,000 to $20,000 sometimes more, so always be expecting more profit per deal. Always be marketing for buyers so you can find those buyers that will pay you the higher prices, cool. Alright, now real quick, miscellaneous resources and different podcasts at my podcast RealEstateInvestingMastery.com is one of my favorite topics to talk about. In the mind map you’re going to get some links, just really good podcasts that you should listen to. Interviews that I did where we talk about these things like this one right here, you’re not the seller’s employee I talked about. You’re not the seller and the buyer’s employee. Similar to what I was just saying, I interviewed Kent Clothier. I learned a lot of the stuff when I was getting started from Kent. Creating opportunity with cash buyers is really good. I did a podcast on don’t let your buyers list become stagnant or old. I did a podcast with Peter Vekselman, who’s really breaks it down into simple things that you can do to find cash buyers. 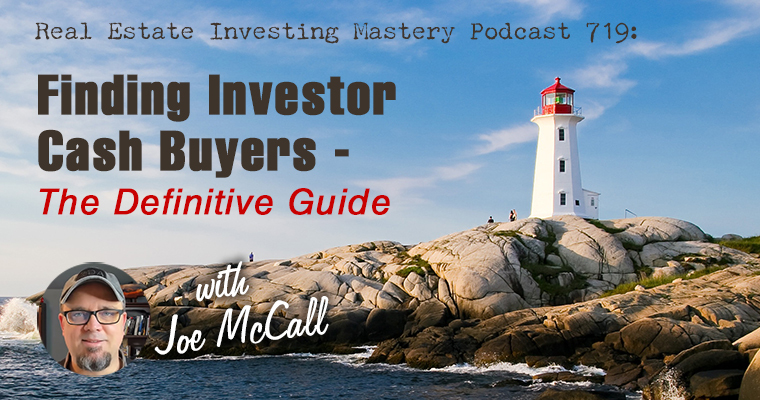 Really cool podcast here about using IRA education workshops to build your cash buyers list. I didn’t even talk about that. It’s a little more advanced, but it’s awesome because you start, you can do free workshops, just training people. You can’t solicit for money for private money, but you can train people on how to use their IRA’s to find real estate and invest in their IRA’s. Fantastic way to find and you can partner with people that do that stuff. You can do the marketing, get the investors there who have IRA money and you can find buyers from that four year deals. There’s a podcast I did and some videos on awesome tips five different ways. We did some videos on finding cash buyers, wanting to, a lot of this stuff is kind of a repeat of this, but really good book, Reverse Wholesaling. I recommend you check that out and just go to YouTube and you can find so many good things in there. Anything from like these guys, Wholesaling Inc. or Max Maxwell. A lot of these guys, that are, some of these are my videos, but these are all really good videos on how to find buyers. There’s a lot of good information. It can be overwhelming keep it simple and all the stuff I shared with you just here in this video in mind map is good. Now, if you want help, let’s talk. Why? Because I will be your buyer, okay. If you want help, you’re looking at this. Maybe you’re overwhelmed. Like, Oh man, how am I going to find a buyer? Joe just gave 20 different ways. I just got this property. I want to sell it. Let’s talk because we partner with people on deals and if we don’t buy the deal, we’ll help you find a buyer. We’ll partner on the deal together. Um, so it’s, if you want more information, go to CoachJoe.net CoachJoe.net a little video there of me and my business partner coaching business partner Gavin, and we’ll talk about what we’re doing. We’re wholesaling about five to 10 deals a month right now down in Alabama and Mississippi, a little bit in Georgia. And it’s going crazy. It’s really, really awesome. And we partner with people all over the country. We help them set up their systems and businesses. Once you get a deal under contract, if you want our help, we will get you the buyer. We’ll get the signs, we’ll do the letters, we’ll do the skip tracing, we’ll make the calls with you and help you do this and we’ll split the deals really cool. We want to just grow and expand and do more deals. Let us be your buyer. You don’t have to worry about this stuff if you don’t want to. But go to CoachJoe.net if you want more information. Alright, CoachJoe.net. We’ll see you guys later. Take care. Bye Bye.